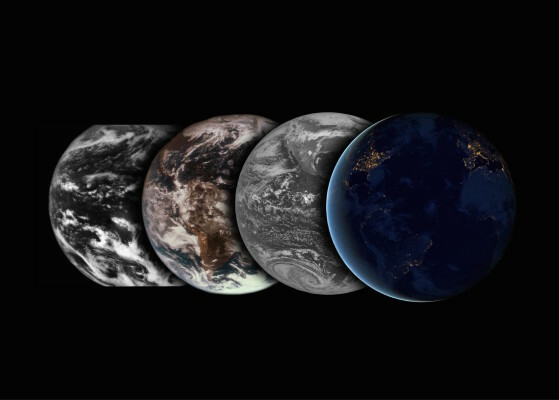 From left to right: Satellite images of Earth from ATS-I in 1966, ATS-III in 1967, GOES-15 in 2010, and Suomi NPP in 2012. A milestone year for the UW-Madison Space Science and Engineering Center, 2015 marked our first half-century of research, discovery, and innovation. Since 1965, our scientists have striven to provide the people of Wisconsin — and around the globe — with the best information about the Earth and its atmosphere. As we look ahead to the scientific challenges and opportunities of 2016 and beyond, I invite you to reflect on this most recent chapter. Each story below provides a window into our continuing commitment to the advancement of science through collaborative research, education, and public engagement. 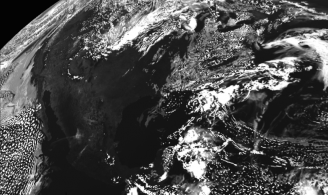 Scientists from the Cooperative Institute for Meteorological Satellite Studies (CIMSS) and the National Oceanic and Atmospheric Administration (NOAA) have developed a promising new storm-prediction model that would provide a supplement to radar, historically the most widespread and effective weather-monitoring tool for mesoscale disturbances since World War II. University scientists are often on the cutting edge of scientific discovery. It’s not unusual, then, for federal agencies or industry leaders to partner with them. Scientists at the UW-Madison Cooperative Institute for Meteorological Satellite Studies (CIMSS) are preparing to make the most of the next generation of weather satellites. “There’s no place like home. 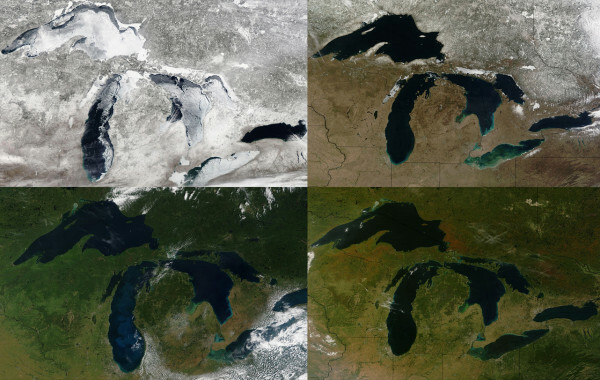 And there’s no place like it.” Steve Ackerman and Margaret Mooney are not talking about Dorothy’s backyard in Kansas; they’re talking about the Midwest’s backyard: The Great Lakes. Observations from the Atmospheric Emitted Radiance Interferometer (AERI) – a ground-based, spectroscopic instrument designed at SSEC – are central to a new study confirming the effect of carbon dioxide (CO2) on the Earth’s energy balance near the surface for the first time in a field experiment. 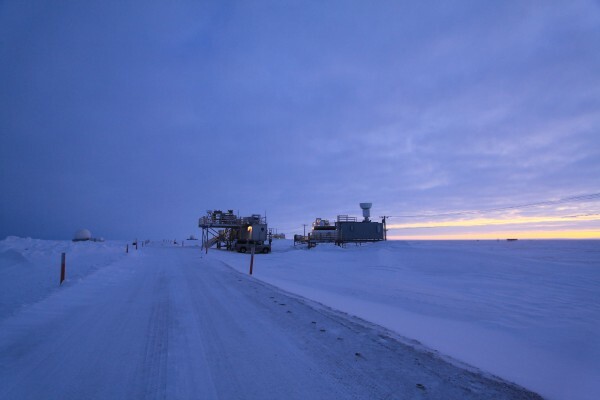 Weather and climate field experiments can often fling the scientists who conduct them to the far corners of the Earth — from Iceland to the Ross Ice Shelf. Sometimes the best places to study these phenomena are much closer to home. 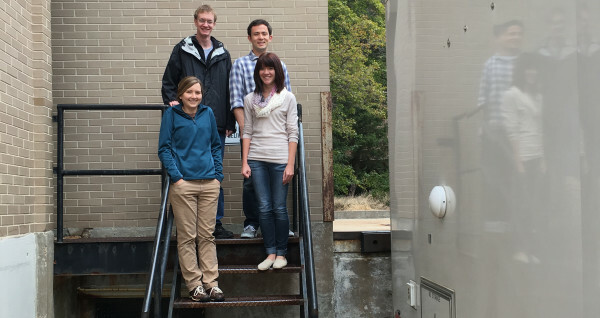 However, using satellites to study lake-effect snow comes with its own set of challenges. 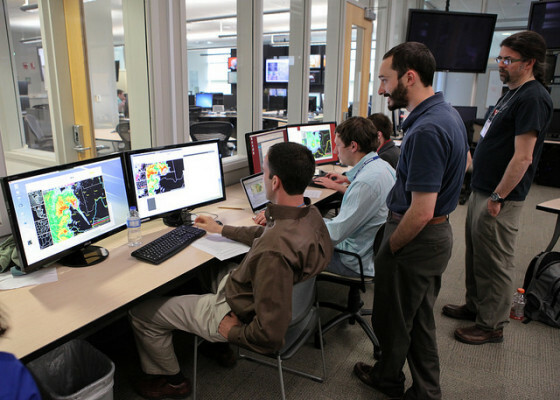 Preparation, plain and simple, is the key to getting through severe weather events. Knowing what to do and when can make the difference in minimizing, and even preventing, property damage and fatalities. Until recently, though, something had been missing: easy access to a publicly available tornado model. Since 2013, CIMSS scientists have been working to further broaden direct broadcast capabilities with the Community Satellite Processing Package for Geostationary Data (CSPP Geo), a data-processing package that facilitates the use of direct broadcast data from geostationary satellites. 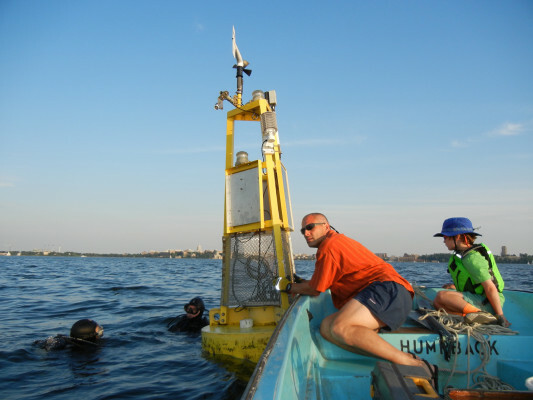 A quiet example of The Wisconsin Idea, the Lake Mendota buoy is outfitted with a suite of sensors that routinely and reliably transmit atmospheric and aquatic conditions. 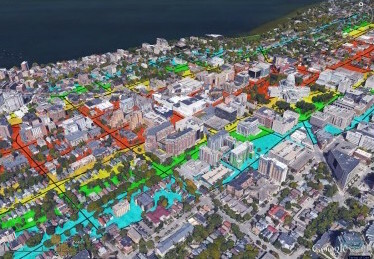 The data are used by scientists and students at the University of Wisconsin-Madison and collaborators around the world. It’s also in high demand by local boating enthusiasts, fishermen, rescue and weather agencies, and citizen scientists. This year marks the 50th anniversary of SSEC and 100 years since the birth of its founder, Verner E. Suomi. In recognition, our summer issue of Through the Atmosphere celebrates the pioneering accomplishments of SSEC during its first 50 years and looks ahead to the innovations of the future. A handful of University of Wisconsin-Madison students, through their involvement with SSEC, spent a week or more conducting fieldwork at the Plains Elevated Convection At Night (PECAN) field campaign – gaining practical experience and embodying the university’s mission to inspire and train future scientists. They are two scientists with more than 60 years of experience between them in the world of space-based meteorological remote sensing systems. 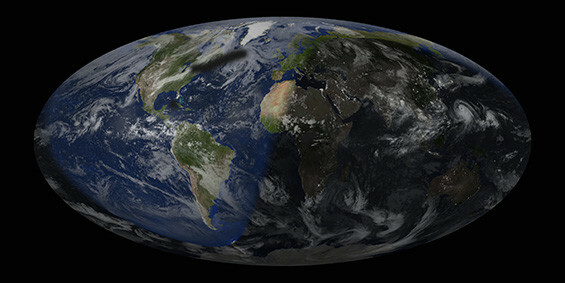 They have not only witnessed, but have advocated for and driven, many of the advances in imaging and sounding techniques so critical to the global observing system. 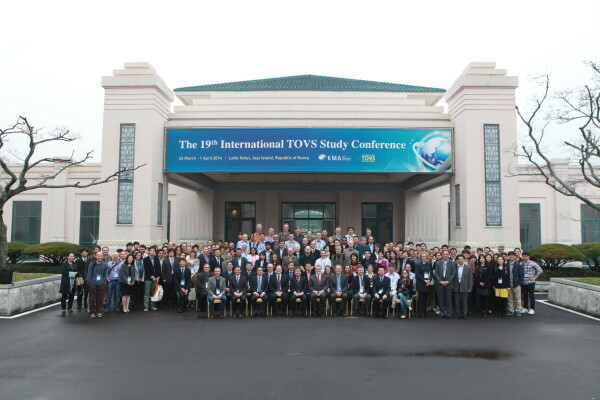 SSEC hosted the 20th International TOVS Study Conference (ITSC-20) from Oct. 28 to Nov. 3, 2015, in Lake Geneva, Wisconsin, USA. The official meeting of the International TOVS Working Group (ITWG), the conference has been held every 18-24 months since its inception in 1983, and hosted by nations all over the globe.